Regal Wealth - Scam or Not? Regal Wealth - Scam or Not? According to Regal Wealth’s promotional video, Regal Wealth is a company founded by Michael King, a former elite Wall Street trader who left after the global financial crisis hit to found his own firm that specializes in high net worth individuals and celebrities. Of course, because he is a charitable kind of fellow, every year his company offers 50 spots for free to the general public so that they too can enjoy a fraction of the financial success that he and his clients enjoy. The unseen narrator of the video, Dominic Ward was one such member of the public who got access to this amazing system. So is Regal Wealth a legitimate company with a real system or just another scam? Read on! What Is Regal Wealth Robot? It should come as no surprise to you that Regal Wealth is a binary options scam, albeit a pretty slickly-produced one. First, while there is an actual wealth company called Regal Wealth, they have absolutely nothing to do with this illegitimate scam and would probably have their lawyers out if they got wind of it. 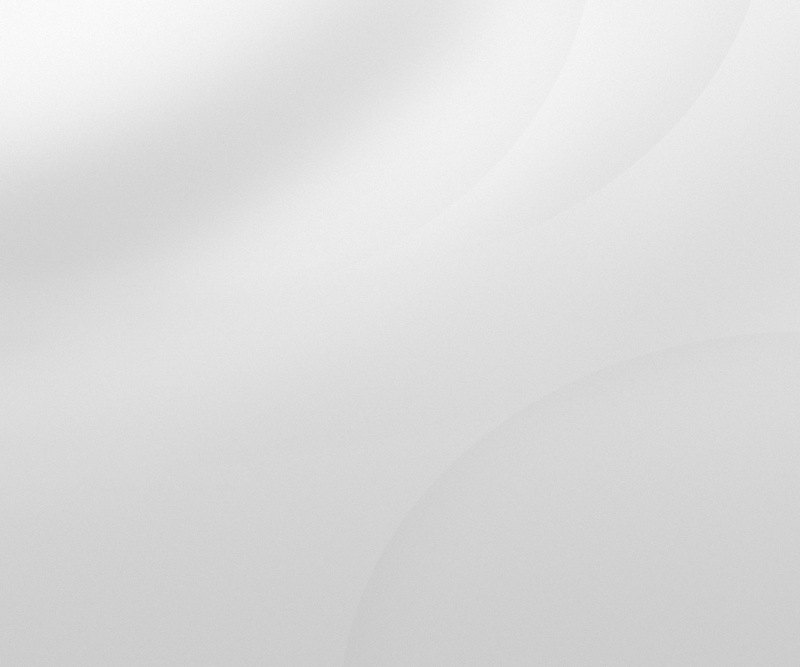 As you can see on their real webpage, there is no mention of a ‘Michael King’ anywhere. The people in the fake Regal Wealth video are nothing but actors, however, it appears that the scammers have a bit of a higher budget for this one and have elected to use real actors instead of cheap Fiverr hires. As with many of these high-production scam videos, it was shot in Portland, Oregon and utilizes local actors. We are not sure why so many of these scam videos are shot in Portland; but we do know that many of these scams are all actually run by the same people so perhaps these scammers are based in Portland? We can only speculate. In the meantime, check out the real person behind ‘Michael King’ below. The video also contains several video testimonials, obviously actors too, of course. However, we were unable to identify them. That said, they did look familiar and are likely to be local Portland actors as well and we probably recognized them from other scam videos. The Regal Wealth website also contains a ‘live trading’ chart that curiously seems to remain open even after the markets have closed; how strange! And to further entice people to join this scam, the site even has random pop-ups with undoubtedly stolen or stock images claiming to be new users that just made money using the app. All these scam robots are basically affiliate marketing scams. The reason they are free is twofold: the first is that by being free, they can lure in more potential scam victims and second is because their profits do not come from the end user but rather their partner broker. You see after luring in their victims, these people are then redirected to their partner broker and upon funding of their trading account, the scammers receive an affiliate commission. By the time their victims discover that the robot (usually a generic automated trading software) does not work, it is too late because the scammers have already received their cut. In our case when we signed up through Regal Wealth, the broker we were directed to was OptionStars, which is not a bad option. But still, we think having a choice is a must in this case. Final Conclusion: Is Regal Wealth a Scam? While Regal Wealth is a slickly produced scam; it is a scam nonetheless. 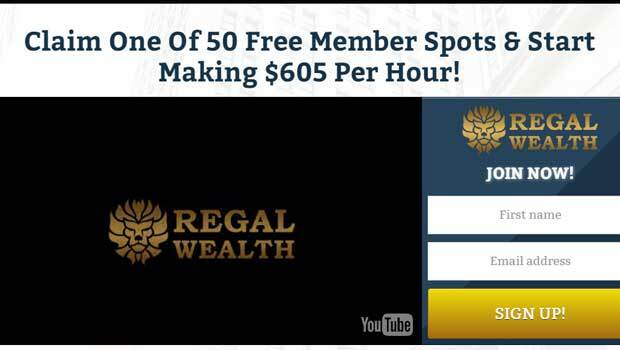 Don’t let their more professional website and video fool you, if you sign up with Regal Wealth the likely outcome is you losing whatever wealth you invest. Skip this scam. Binary Minery review: Regal Wealth: 1 stars.